Happy Friday and thanks for joining me today. I made it through Wednesday and hubby and I got all our errands done. YAY!!! So, it’s been a pretty quite week here in the Moore household, it’s actually kinda scary. My sons regular season basketball season is over and they finished with a 12-6 overall record. Pretty soon, like next week, we should be starting the playoffs and then on to AAU for the spring/summer, that’s when the real fun begins. Travelling to different states to see my son compete in basketball tournaments and hanging out with out basketball families, I don’t know who’s more excite, him or me…lol. This week we only had to contend with our youngest and her gymnastics lessons. Our middle one is still doing chorus, band and gearing up for the spring season of Girls on the Run. So I’ll enjoy this short, but much needed reprieve. I love keeping my kids busy and active, but I also love my other almost 900 babies…my polish!! Today, I have 2 exclusives created by Lindsey of Tonic polish for Rainbow Connection UK. In true Tonic fashion, this duo is ah-mazing. I don’t know how she continually puts out beautiful polish after beautiful polish. So let’s ‘cross the pond’ as they say to take a look. Formula/Application: These polishes live up to EVERYTHING you have come to expect and love from the brand. Lindsey does such an amazing job with the formula making application equally amazing. Overall: These are Tonics sooooooo yeah, they are a must have!!! Have a wonderful weekend everyone, catch back here on Monday! 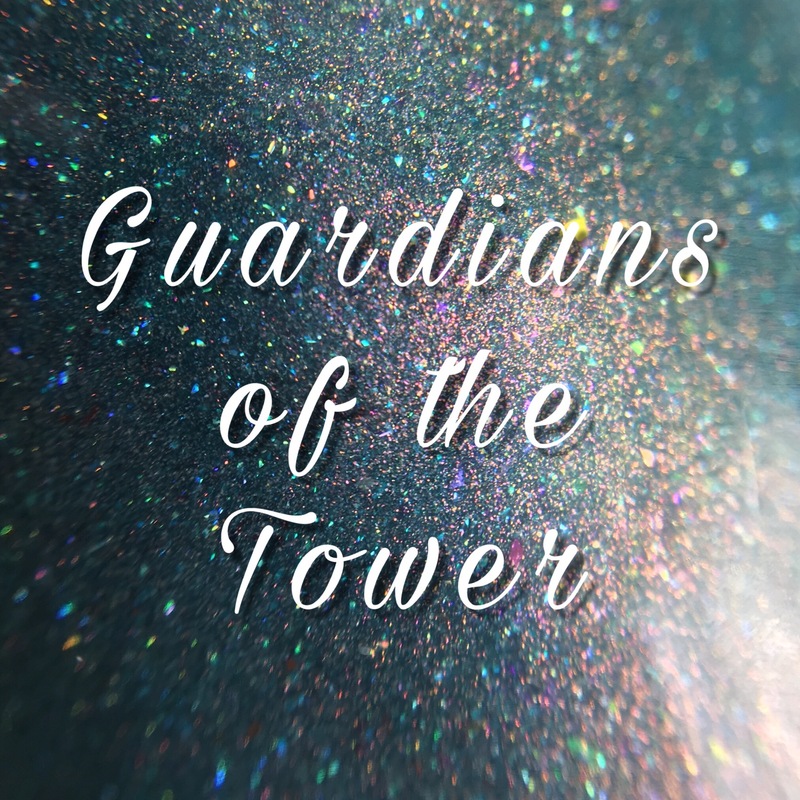 So glad I picked up Guardians of the Tower! Guardians of the tower is so unique. Love it. 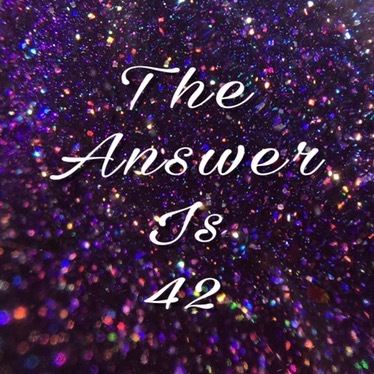 The Answer is 42 is beautiful! I don’t own any tonics yet and every time I see them I’m reminded that I need to get some. I love the color shift in Guardians and the deep purple in 42! I reeeeeeaaaaaally need to try this brand! These look amazing But I don’t think the matte topcoat does them any justice, they are gorgeous glossy! Join me as I travel though this life of polish!